Agriculture Minister Gajendra Singh Shekhawat Launches ‘MoooFarm App’ in New Delhi! 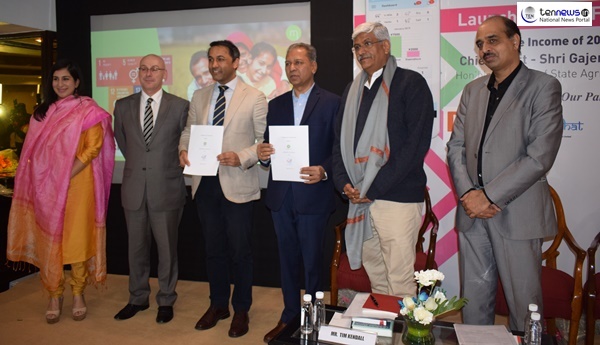 New Delhi:(06/02/2019) MoooFarm, an Australia-based innovative AgTech company has announced the launch of “MoooFarm”, a mobile application that provides end to end last mile connectivity solution offering extension and technology to the smallholder dairy farmers. Through this application. MoooFarm aims to buiid a self-sustained dairy farming community by leveraging ICT applications and creating employment opportunities for youth, financial empowerment for women and doubling the farmer income which is aligned with Government of India’s mission. Agriculture Minister Gajendra Singh Shekhawat Launches 'MoooFarm App' in New Delhi!